Who doesn’t enjoy a little more room to move! This guest room features a luxurious King Bed, High-Speed Internet, Refrigerator, Air Conditioning, Free Local Calls, Iron/ Ironing Board, and a Coffee Maker. A desk and chair provide a productive workspace and cribs are available for all rooms upon request and availability at time of reservation. Rooms offer approx. 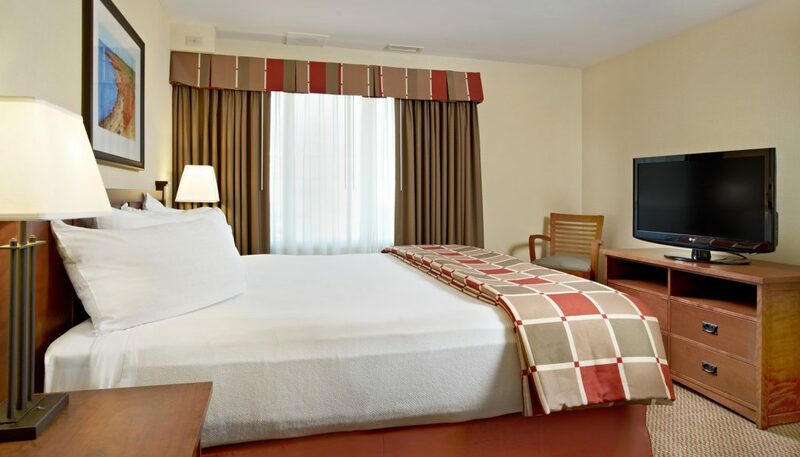 230 sq ft. of livable space and like all our rooms, include free high-speed Wi-Fi, free parking, free HD TV and a delicious free hot breakfast buffet daily.